No results found in Parents’ Corner. Debates about evolution and attacks on Scripture seem endless. But why should we be ashamed of truth? 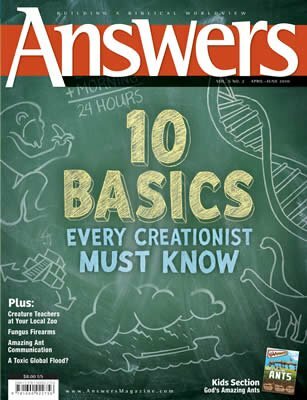 In this issue you’ll find basic truths revealed in Genesis and confirmed by science—bare-bones essentials that all Christians need. Also look for fascinating science news, ideas for a faith-building creation “stay-cation” to your local zoo, and semi-technical articles to strengthen your faith and challenge your mind!